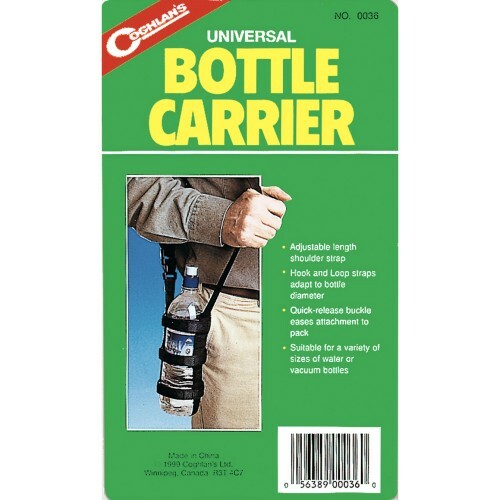 Universal bottle carrier for convenient carrying of water bottles. Hook and loop straps adapt to a variety of water and vacuum bottle sizes. Adjustable length shoulder strap and quick release buckle.